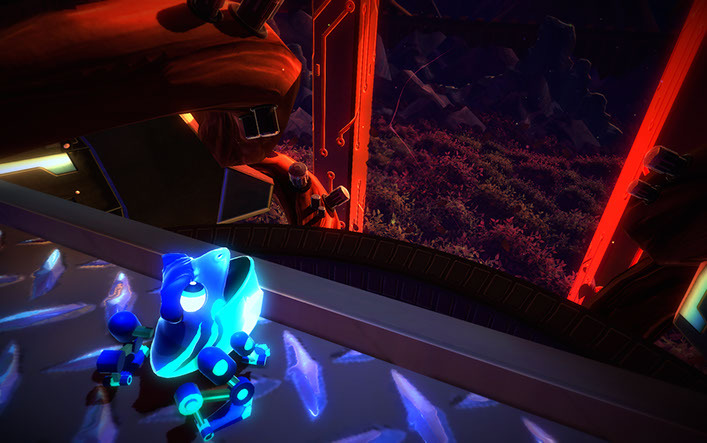 Vibrant 2.5D Indie Platformer Mekazoo Launching Closed Beta on Steam — Sign-Up Now! Those selected for beta access and actively participate will receive Mekazoo for free at launch. SEATTLE, Wash. – June 30, 2016 – The Good Mood Creators have announced that Mekazoo will be going into closed beta on Steam, starting Friday, July 1, and has opened sign-ups. The dynamic 2.5D platformer features a colorful cast of kinetically diverse ‘“Mekanimals” that will take gamers on a nostalgic, neon-infused trip through dangerous jungles and breathtaking landscapes. With more than 30 levels of gameplay, a uniquely entertaining co-op multiplayer mode, and special unlockable challenge levels, Mekazoo delivers a highly replayable experience with top-notch visuals. The beta test will launch on Steam, and all active participants will receive the full game upon release. Interested parties are invited to sign up for beta access on the Good Mood Creators website www.goodmoodcreators.com. Mekazoo will be launching later this summer on PC, Mac, Linux, Xbox One and PlayStation 4. The Nintendo Wii U version will be released soon after that. Inspired by classic 2D platformers that dominated the 16-bit era, Mekazoo’s original soundtrack is a jazzy, electronic tribute to the groovy gaming scores of the mid-90s. Also featuring more than five playable Mekanimals, fluid level design and a beautiful aesthetic, Mekazoo will have players seamlessly traversing diverse worlds withs its creative and unique gameplay for hours on end. For more information regarding the beta program, please contact beta@goodmoodcreators.com. To learn more about Mekazoo and the Good Mood Creators, please visit www.goodmoodcreators.com/mekazoo. Like the Good Mood Creators Facebook page at www.facebook.com/goodmoodcreators or follow the team on Twitter @GoodMoodCreator. Mekazoo is the first major professional project of the Good Mood Creators, a team of developers with a passion for artistic, fun platformers and stellar gaming soundtracks. Currently based in Seattle, the team has known one another since 2009, and created the Good Mood Creators studio after graduating with high honors from Digipen in 2012. For images and related assets, please visit www.goodmoodcreators.com/press.